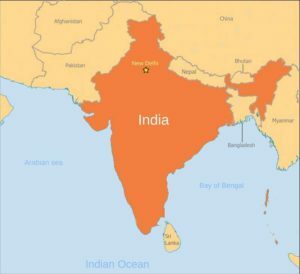 (World Watch Monitor) — Two hundred and seventy-one Christians in the northern Indian state of Uttar Pradesh have been charged with a range of crimes including attempting to convert Hindus through the use of drugs and by spreading lies about Hinduism. Of the 271, just three were named – pastors Durga Prasad Yadav, Kirit Rai and Jitendra Ram – in the charges filed in Jaunpur district, 200km southeast of the state capital Lucknow, on 5 September. The 271 were initially cleared of any wrongdoing by a court in August, but now stand “accused of various criminal offenses, like fraud, defiling places of worship, prejudice against national integration”, Deputy Police Superintendent Anil Kumar Pandey told AsiaNews. “In Uttar Pradesh Hindu radicals have fabricated unfounded accusations against innocent Pentecostal Christians,” Sajan K. George, president of the Global Council of Indian Christians (GCIC), told AsiaNews.